Comrades: I'm looking to expand the soundstage of my vintage RCA turntable and need some help. It currently runs through a single attached folded horn speaker, with low fi results. Should I go with solid state or tube amps? I've got some early stock Heresy I's, but would a set of Fortes be better? I have for sale Decware Silver Reference Interconnects. I have 1 pair of .5 meter and 1 pair of 1 meter. All cables are in new condition. I have since moved on to other cables and am letting these go. Prices are as follows:.5 meter - $125/pair1 meter - $175/pair Please see the following for more information on these cables:http://www.decware.com/newsite/newdsr.htmPlease ask about shipping for these. Local sales cash only otherwise PayPal with a 3% service fee on top of sale price. I am willing to deliver these within a reasonable distance either full delivery or meeting somewhere in the middle. Hey guys. I'm totally new to the whole stereo system thing. I haven't even heard of Klipsch till I picked up a pair of KG4s at a yard sale this past weekend. I've been doing research on watts and ohms, receivers, and set up but everything is kinda over my head. I need help but broken down real simple like. I'm not trying to get some perfect setup I just want to be able to play some music nice and loud without breaking something. So like I said I got a pair of the KG4's and I bought this old receiver RCA RK327C http://www.ebay.com/itm/VINTAGE-RCA-RK327C-HI-FI-RECEIVER-/221540828945?pt=Vintage_Electronics_R2&hash=item3394dcc711#viTabs_0 (pics attached) it has 120 volt, 60hz, 300watt, 2 channels. I hooked'm up yesterday and found out the right channel of the receiver is messed up it is low and kinda cycles up and down. Left is fine, that speaker was thumping pretty good. I get a little buzzy sound with some music not sure if thats the speaker or receiver. So since only one side is working I hooked both speakers to that side. That worked. So questions 1. 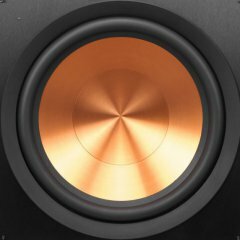 Are the speaker and receiver compatiable, as in will something break if I keep using it? 2. I do plan on getting the other channel fixed on the receiver but for time being is having everything go to side messing something up? 3. Is that buzzing coming from the speaker or receiver? Thanks yall, remember please explain plainly. Also if this a bad pairing could you tell me the right kind of receiver to get. I like the vintage look and I'm not trying to spend much, again I just want to play loud without breaking something.